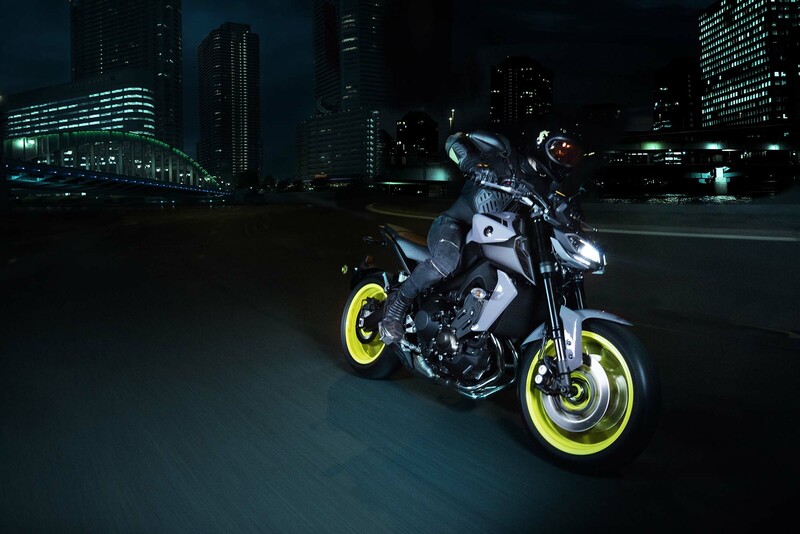 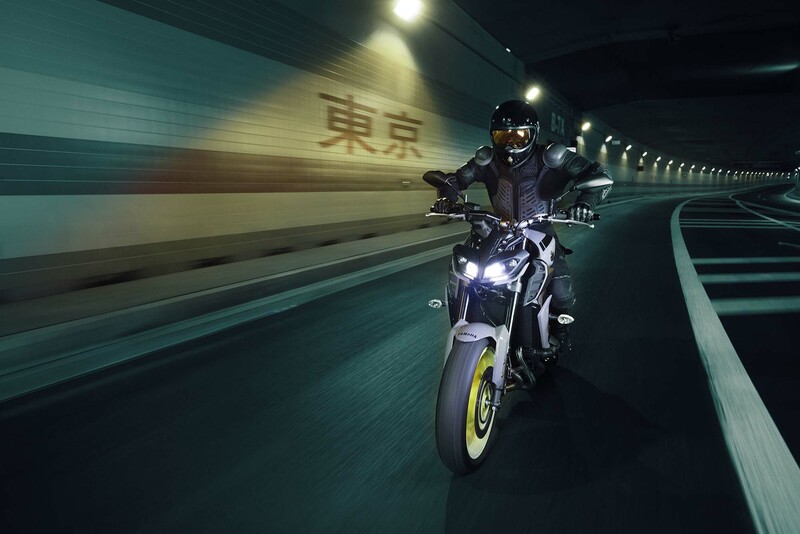 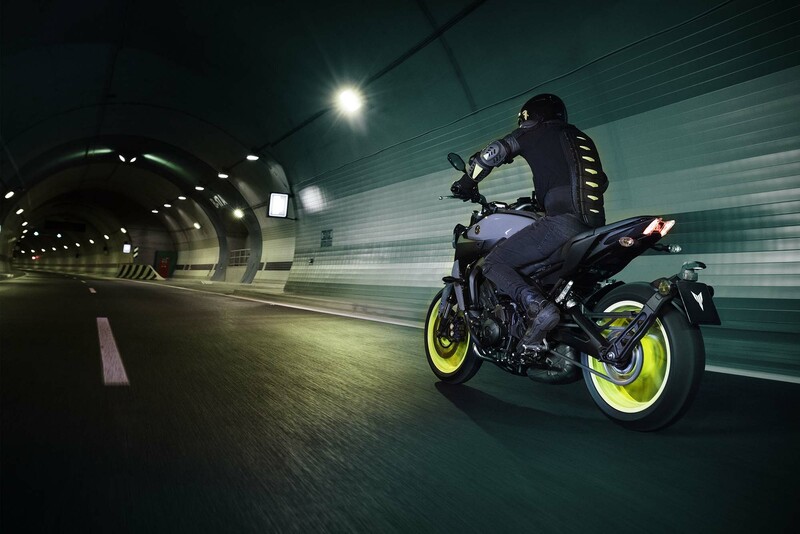 Yamaha’s MT line runs with the tagline “The Dark Side of Japan” and promises edgy and affordable street bikes for urban riders. 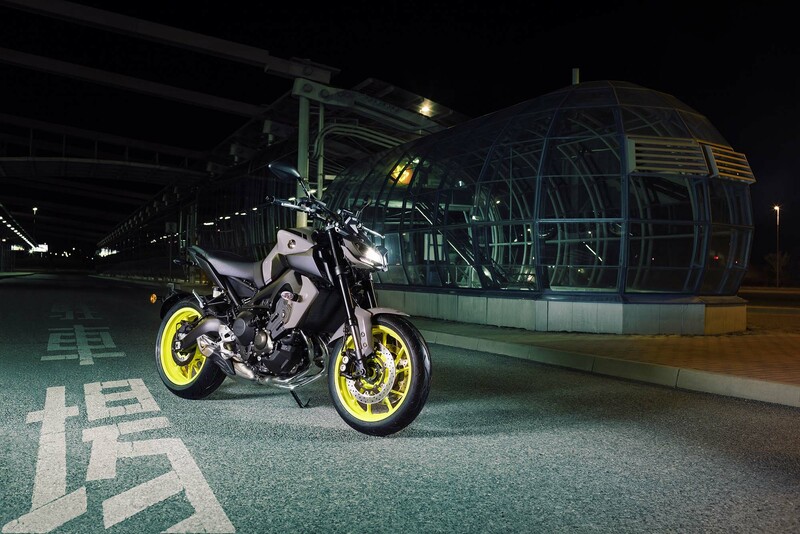 Someone in Iwata, Japan must have thought that the current Yamaha MT-09 wasn’t quite edgy enough though, which is the only way we can explain the 2017 Yamaha MT-09, which debuted today at the INTERMOT show in Cologne, Germany. 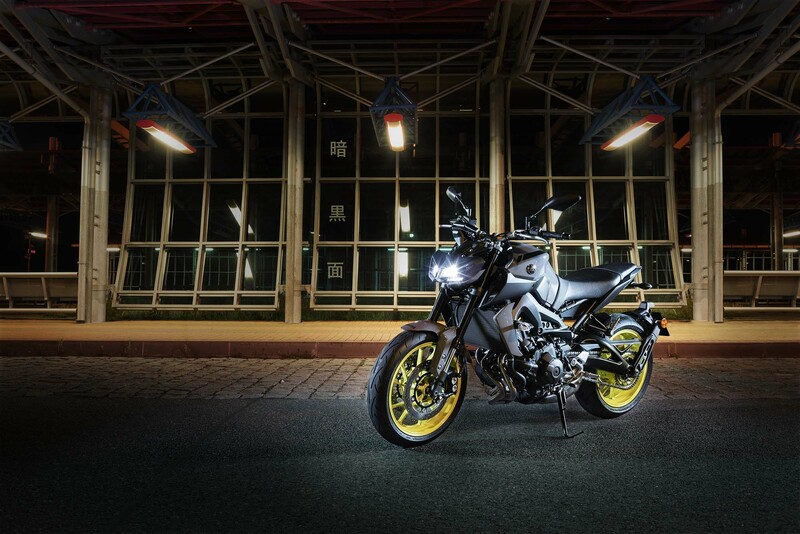 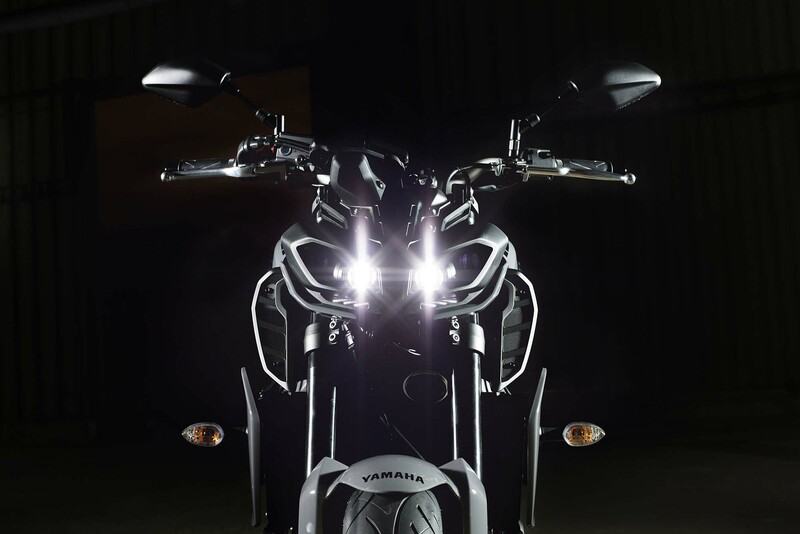 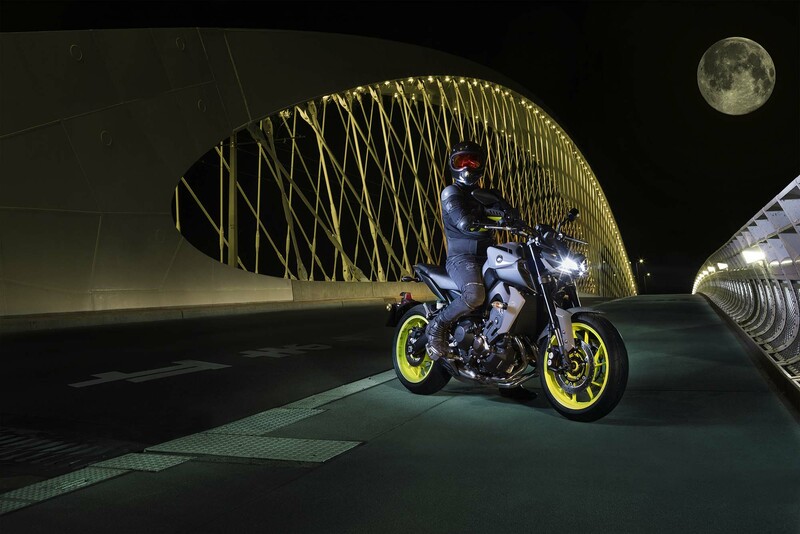 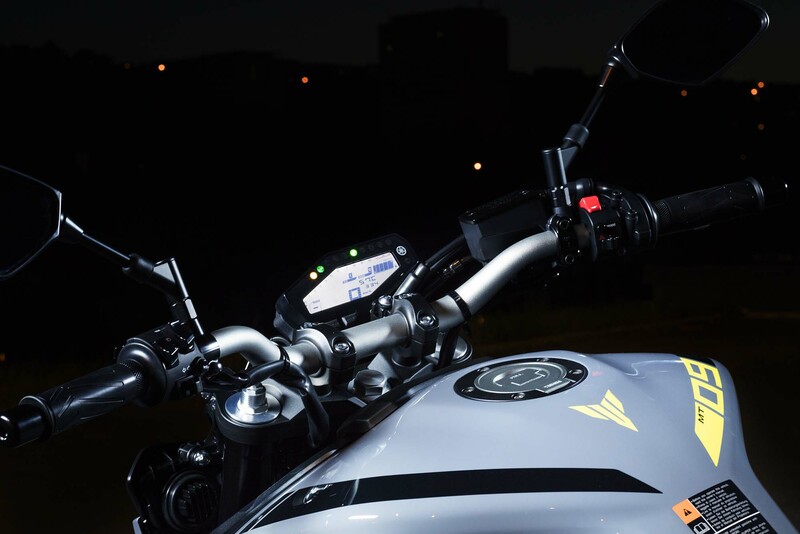 Now with a “twin-eyed” LED headlight design, the Yamaha MT-09 feels a little bit more at home when parked next to the Yamaha MT-10 / Yamaha FZ-10 streetfighter. 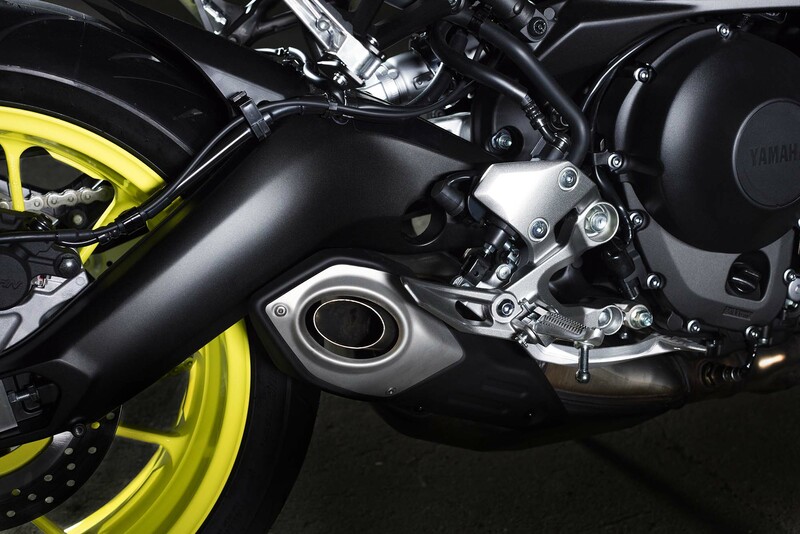 Other changes include an assist/slipper clutch, quickshifter, new suspension, and a redesigned tail section and fender. 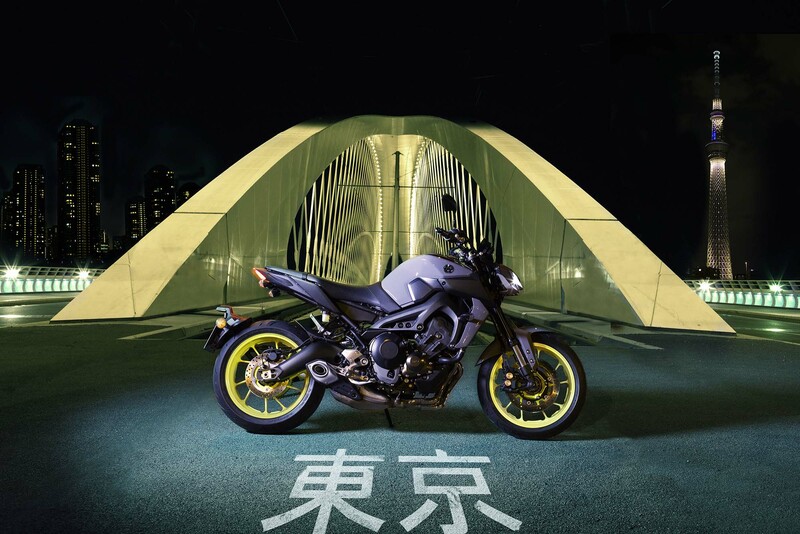 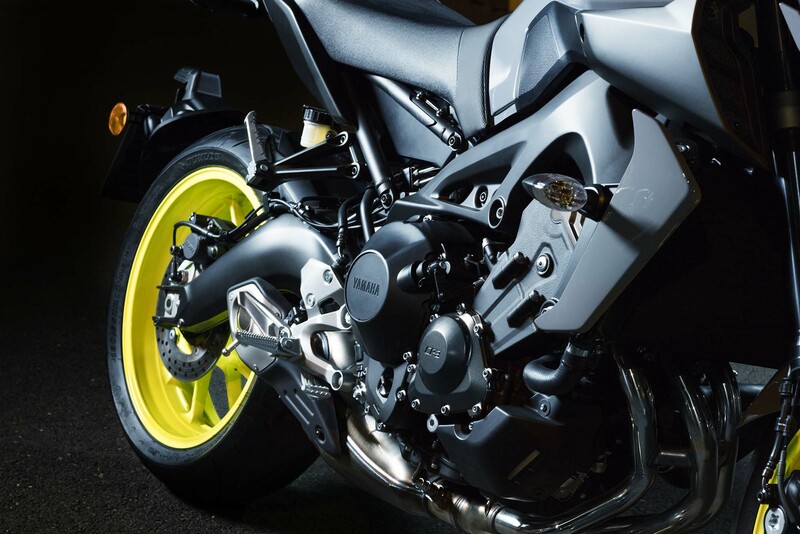 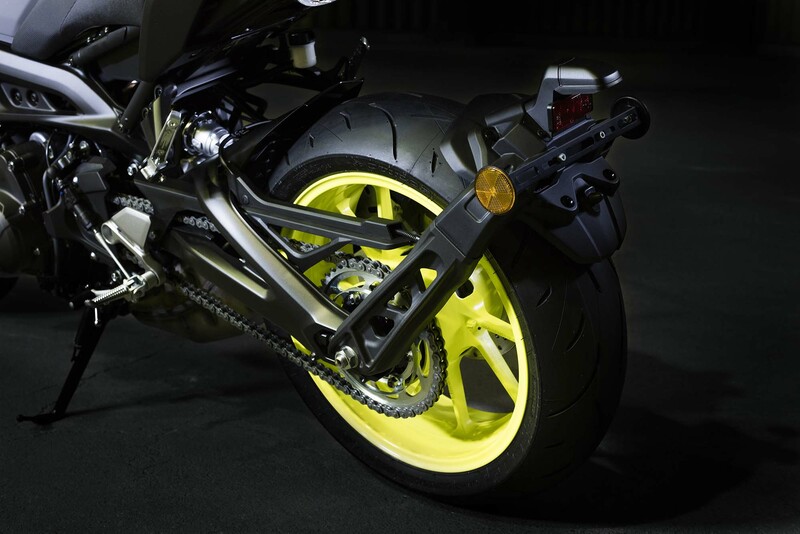 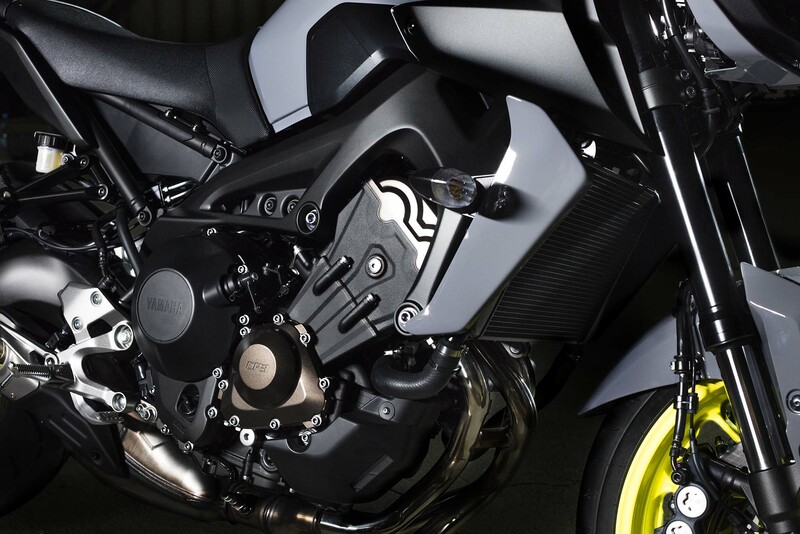 The improvements should help the MT-09 maintain its status as one of the most popular street bikes right now in Europe, and we would expect the model to travel across the pond, and update the current Yamaha FZ-09. 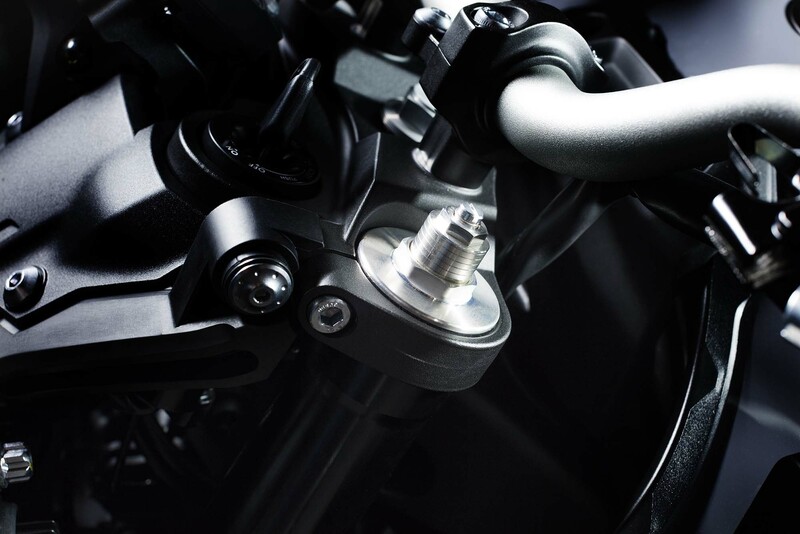 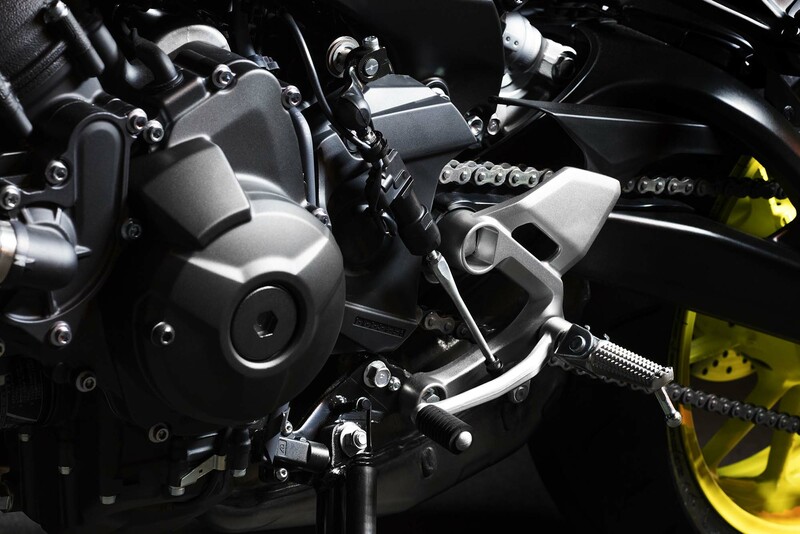 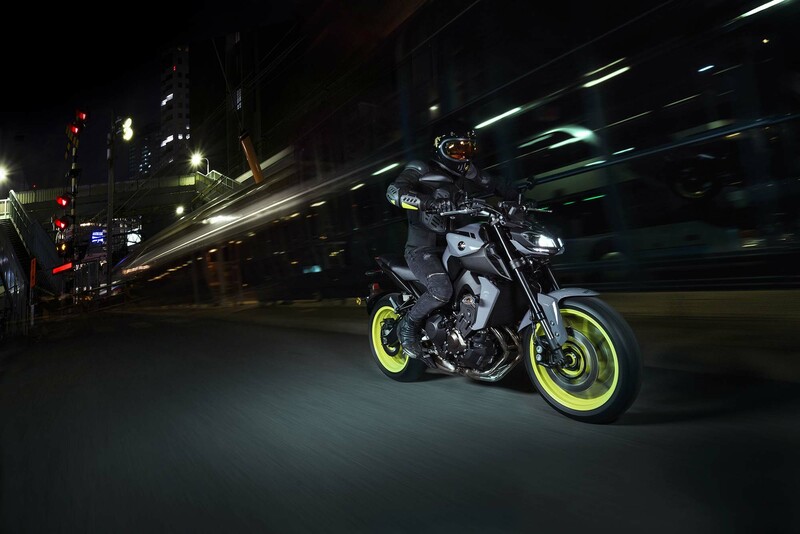 Sporty changes like the assist/slipper clutch, quickshifter, and adjustable front forks (compression and rebound adjustments in separate fork legs) should help the 2017 Yamaha MT-09 further its already strong value offering to riders. 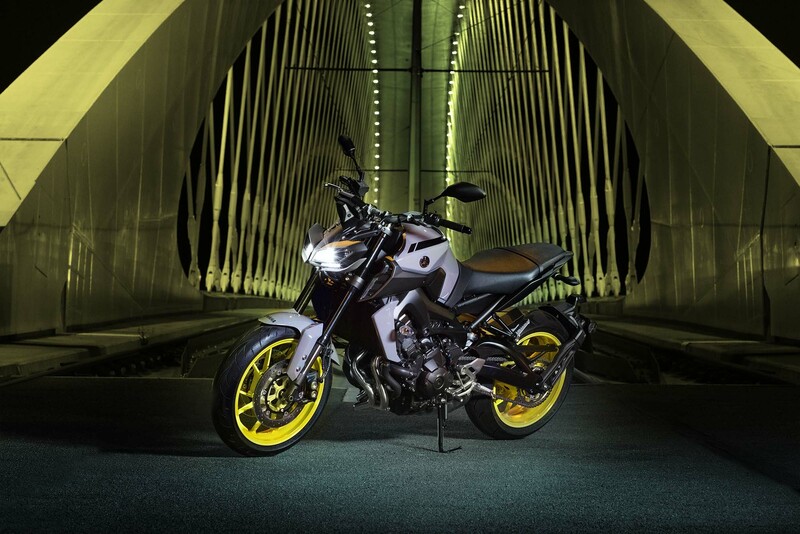 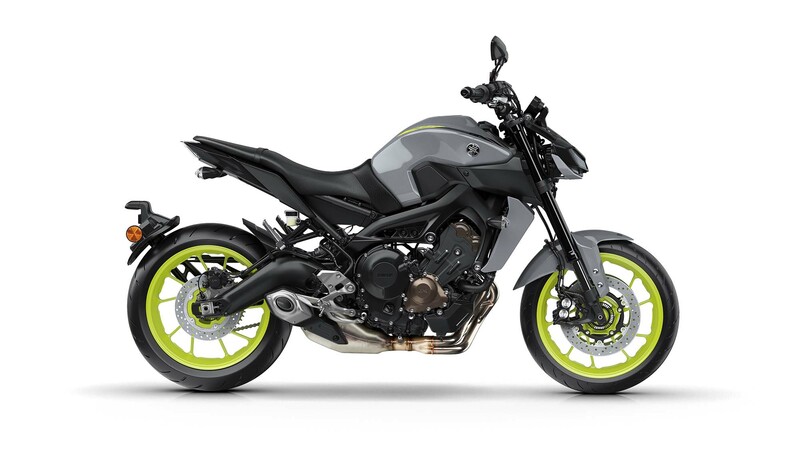 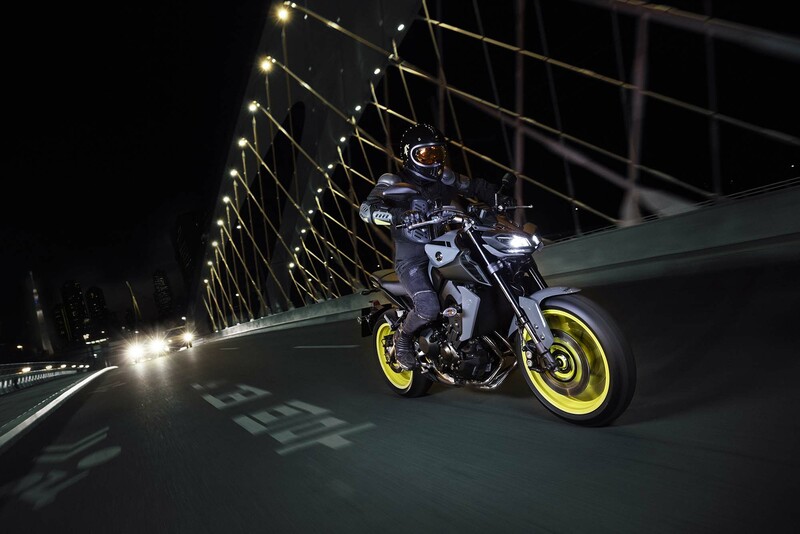 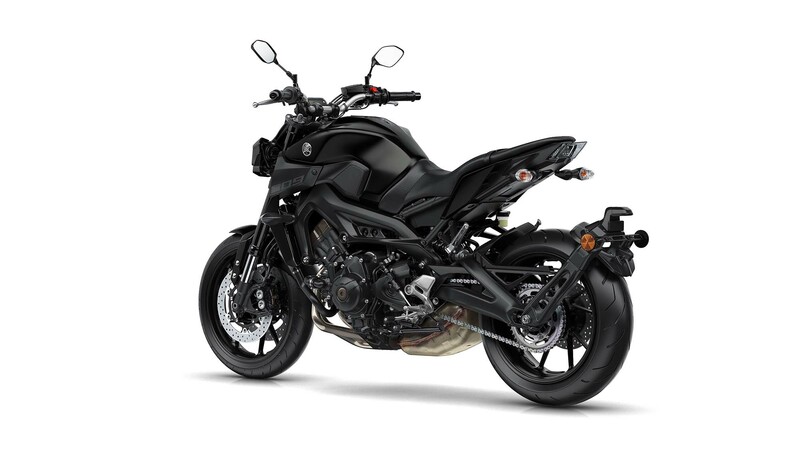 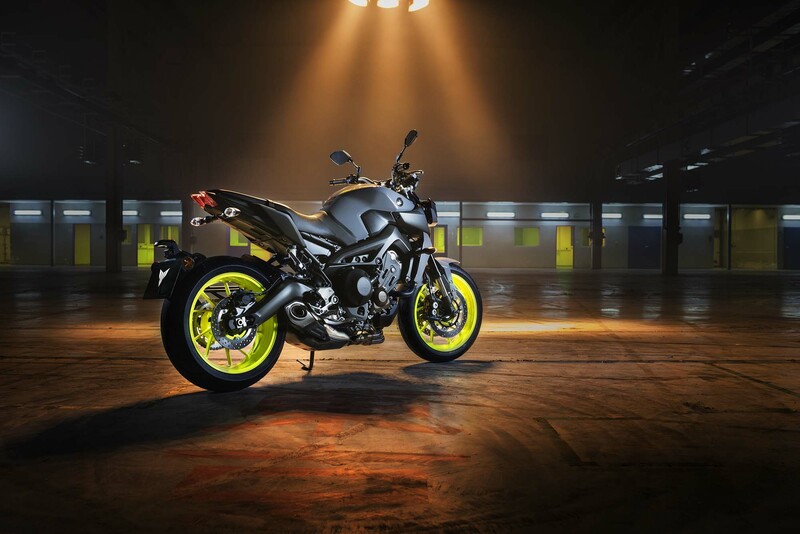 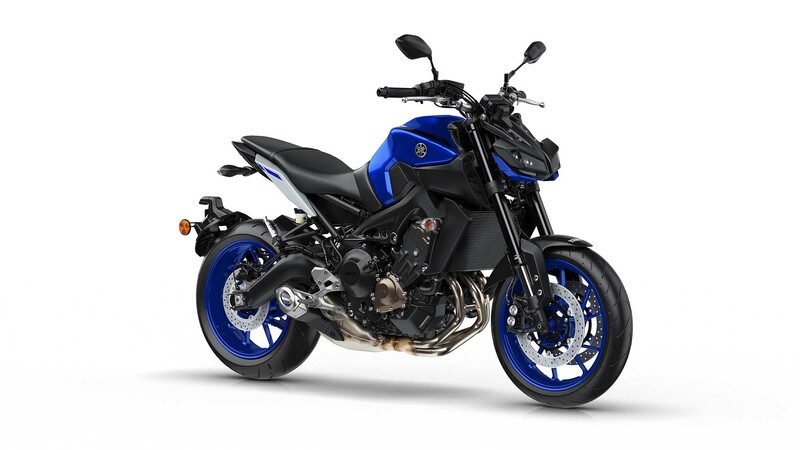 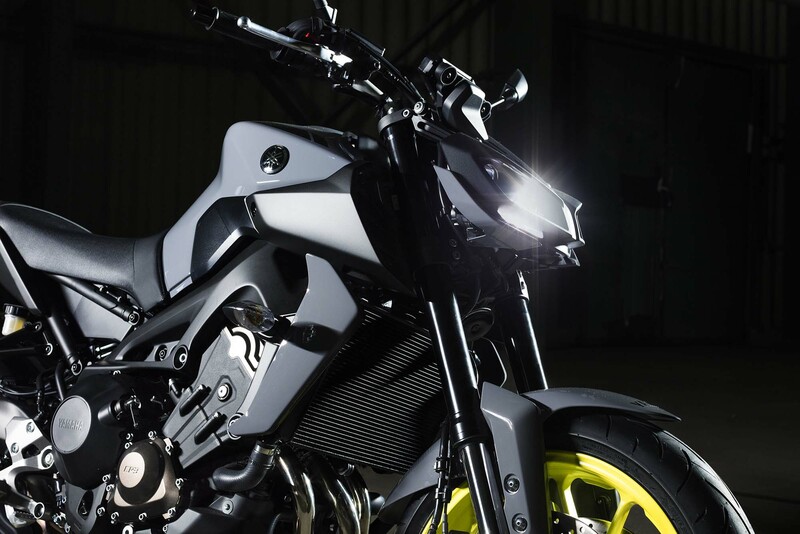 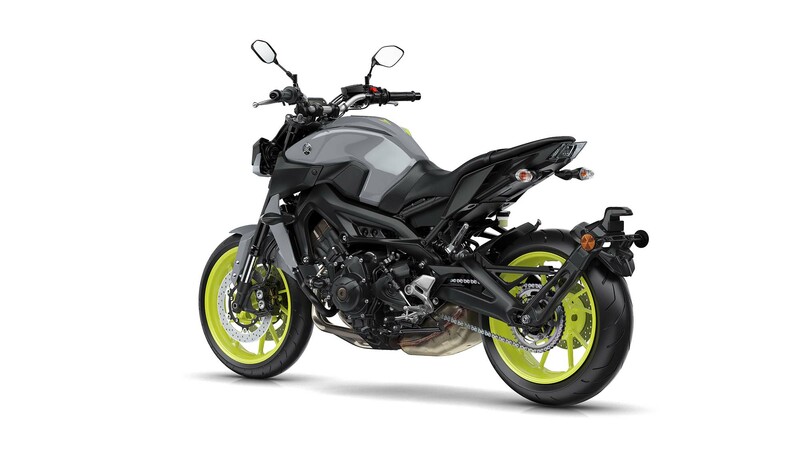 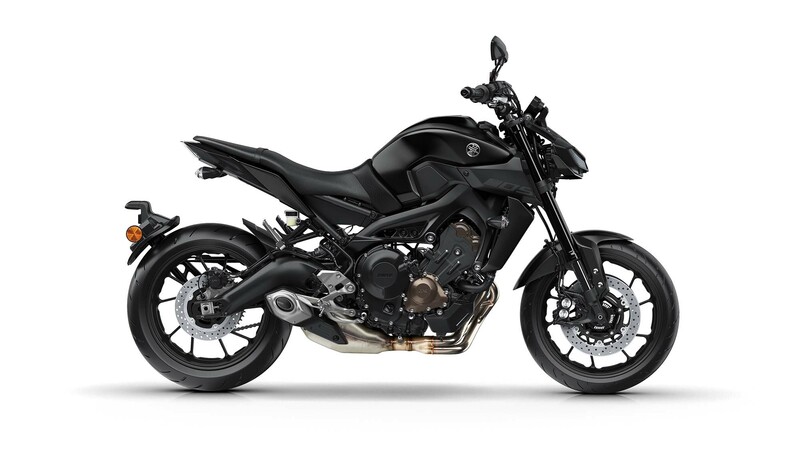 Meanwhile, styling changes to the fender, tail section, and exhaust muffler ensure that the Yamaha MT-09 resonates with younger riders, and remains fresh in the marketplace as other brands try to copy the bike’s success. 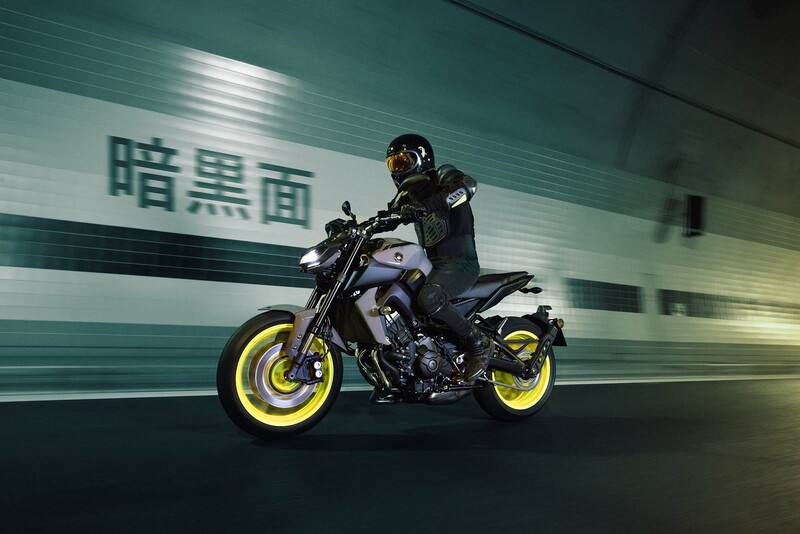 There’s no word yet whether the 2017 Yamaha MT-09 will come to North America, though we would expect it to – keep an eye out for a revised 2017 Yamaha FZ-09 debuting at the AIMExpo in Florida later this year.